Emma-Kate Wilson is one of the smiling, bubbly personalities in the art industry as a freelance writer and critic. Born in the West Midlands, UK, she moved to Sydney six years ago, immersing herself in the culture and climate, art galleries, beaches, bush walks, and botanical gardens, now calling it home. Emma-Kate brought experience in retail at a fashion boutique, marketing assisting at a finance company and years of hospitality in pubs, restaurants, bars, cafes, and at a hostel in South Africa. In 2015, she started her degree in Art Theory at UNSW Art & Design in Paddington, Sydney. Her writing career began at student-run publications Framework and Tharunka. As her confidence grew, Emma-Kate began pitching to online publications, and frankly, hasn’t stopped! First at The Ladies Network, covering exciting women and non-binary artists, musicians, and all-round inspiring people. After graduating, she has written profiles on artists for Ocula and Artist Profile; exhibition reviews for Art Almanac, Running Dog, un Projects, Art + Australia Online; and feature pieces for The Urban List, Art Monthly, and Eyeline. While studying, Emma-Kate volunteered at renowned art institutions, such as Kaldor Public Arts Projects, Carriageworks, Sydney Biennale, Firstdraft, and Kudos Gallery. She also completed an internship in the visitor services department at Carriageworks in 2017. Following the internship at Carriageworks, Emma-Kate has worked at the Museum of Applied Arts and Sciences in visitor services; Sherman Contemporary Art Foundation (SCAF) as an event host; and Cement Fondu as a gallery assistant - where she still works. After the closing of SCAF and finishing her Art Theory degree, Emma-Kate started working for the wonderful Sherman Family in Paddington, up until this year. Here she learned and assisted the many needs of the companies; from office management and communications to reception and financial administration. 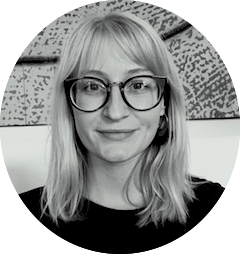 In a freelance capacity, Emma-Kate has also brought her copywriting skills to various art companies and artists.